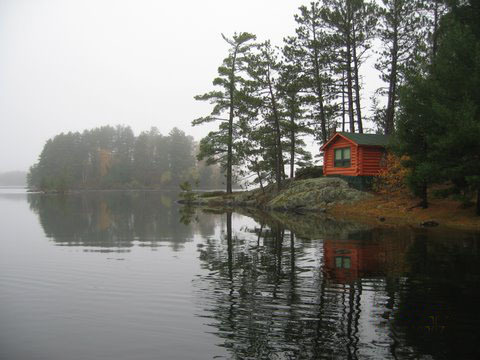 This is a waterfront one-bedroom log cabin that was built in the 1920's by Finnish craftsmen from trees that grew on the lodge property. 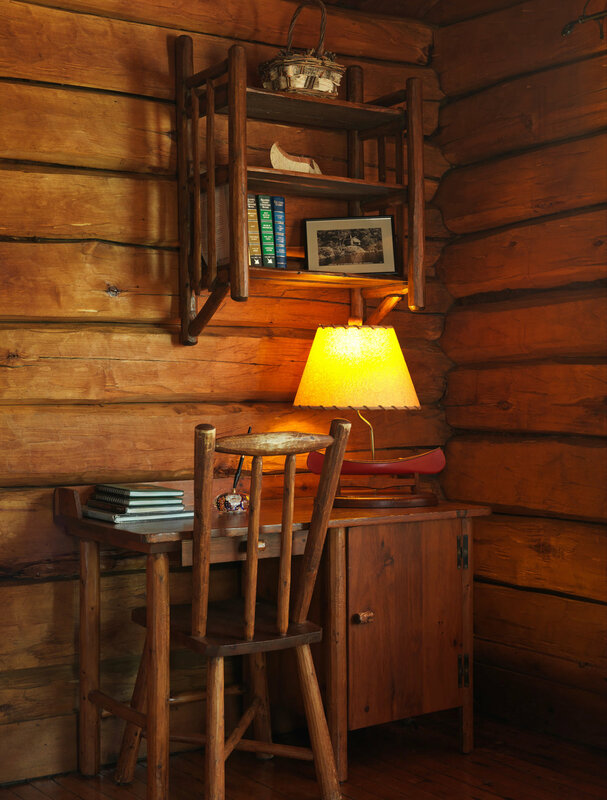 It is probably the most photographed log cabin in the state of Minnesota and has appeared in many magazines and calendars as it typifies to many what a log cabin ‘up north’ should be. Sitting at water’s edge, below the main lodge and near the marina area, it offers beautiful sunset and lake views. 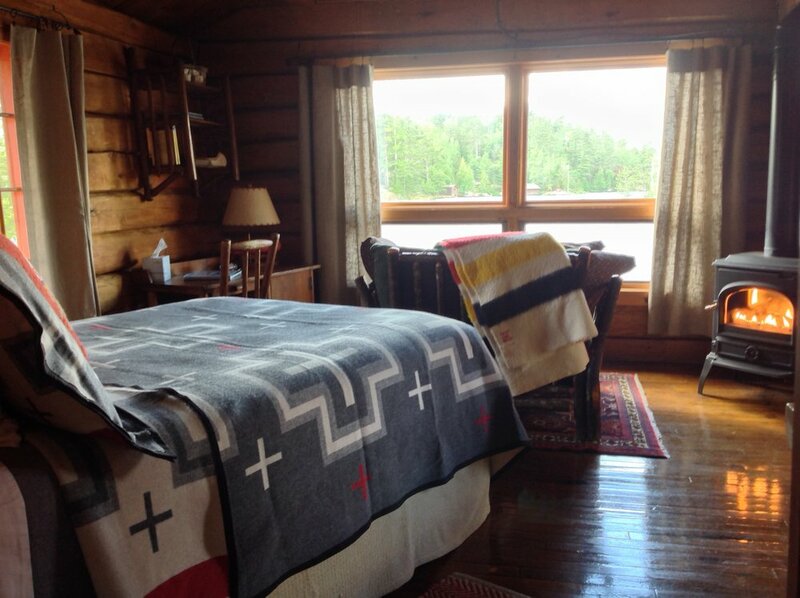 The cabin is of full log construction (both on the exterior and interior) with wood floors. Consisting primarily of one room you will find a comfortable double bed, small refrigerator, coffee maker and microwave and bathroom with tub and shower. A great heater provides the ambiance of a fireplace but is an easy to use, thermostatically controlled, gas stove. A hickory love seat gives a perfect place to relax and enjoy the views. The floors slope a bit as it is built on the rocks; but this hasn’t stopped it from being our most requested accommodation. A charcoal barbecue is available outside the cabin. The 2019 rate is $ 272.00 per day or $ 1 735.00 per week.